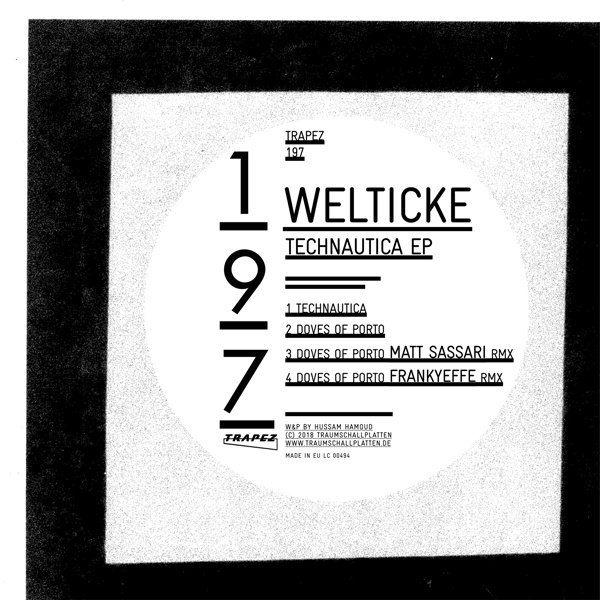 Welticke debuts on Trapez with two powerhouse productions that show an unwavering commitment to techno music and an undying love for the dance floor. This includes also the remixes by top producers: Matt Sassari and Frankyeffe. Starting as a DJ at the age of eleven Welticke’s first solo production is steeped in with dance music but has been written with an attention to detail and cutting sequences captivating the dancer as well as the listener. Welticke has been a techno force for some time in Cologne drawing a large crowd wherever he plays. His opening track „Technautica“ is set to blow people away hard style. His full fat analogue sounding music moves in various directions but for sure gets the beat to reach out to the dancer. This is no formulaic techno but rather something deeply personal and idiosyncratic and all who know him personal appreciate his approach to celebrate a feeling of togetherness. This is forward thinking music with a lot of longsightedness applying lots of cool drops bringing an additional rhythmic structure on top of the already established one. „Doves of Porto“ is a special track which Welticke dropped a couple of times at events in Cologne and Berlin with amazing effect. Based on a field recording of doves which serves as the key element of this 303 laced spine tingling piece of techno. Welticke easily defies categorization with „Doves of Porto“ and steers electronic music in an exciting uncharted territory. And besides all the weirdness of the sounds provide a lesson in the art of the groove. No need to introduce Matt Sassari, the man has risen to the top league of techno producers in the last years. His remix of „Doves of Porto“ is a steam engine powered groove, mighty and in total control. Matt is a master of the execution, everything is in place here… and thats magic! Frankyeffe has also remixed „Doves of Porto“ but comes to a very different result. His remix keeps the 303 sequence as a centre attraction and builds a heavy Frankyeffe styled percussion around it. Including a mighty snare and a white noise build up.